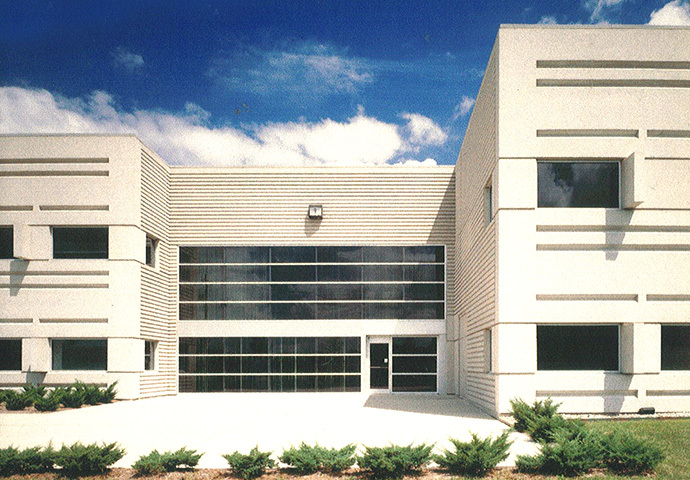 A recessed entrance, sculptural window elements, deeply grooved precast concrete and natural aluminum window frames provide visual interest to a 200,000 square foot manufacturing facility designed by MDSA’s predecessor firm, Beckhard Richlan &amp; Associates. Originally planned to be concrete block, it was built instead of pre-cast concrete, allowing cost-saving winter erection. Window openings are formed using precast elements, technically superior for their lack of sills and metal lintels. The building is placed at a slight angle to the road system, maximizing parking efficiency and allowing for a less formal road to building relationship. 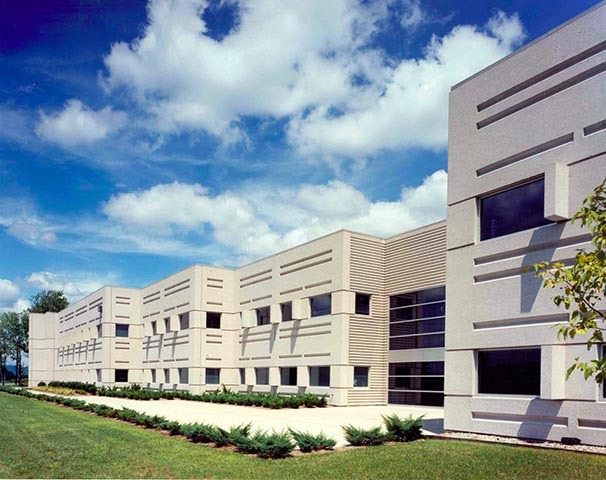 The complex includes offices, cafeteria and other support spaces. 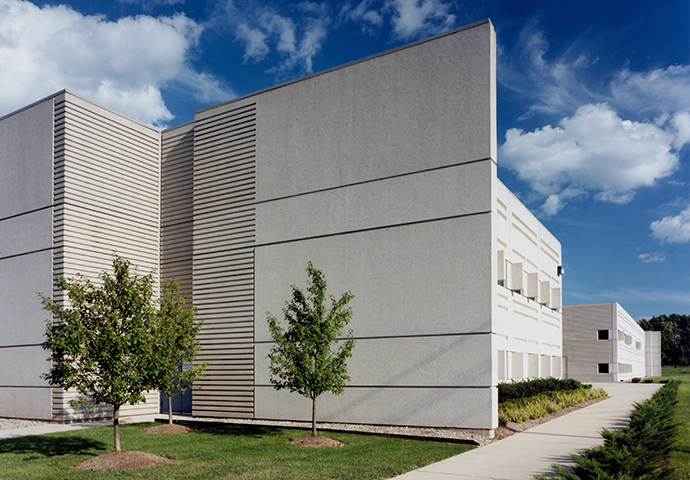 This project received the Prestressed Concrete Institute Award.